Geothermal heating and air conditioning is a sustainable energy because it is capable of being renewed from nearly non-exhaustible resources. Other sustainable energies include solar, wind, and tidal power. As you probably remember from elementary school, the center of our planet is very hot. In fact, the center of Earth is as hot as the surface of the Sun (bbc.com)! This heat is mostly due to the extreme amount of pressure it is under. The heat is so intense that even when it passes through the outer core and the mantle, it is still hot enough to melt metal and have magma burst out of the crust. Geothermal heating and air conditioning systems utilize the sustainable heat created naturally by our planet. The “hydrothermalfluids” are used to heat water and pump steam into a building. Geothermal plants are also used to generate electricity by having the steam spin a generator. 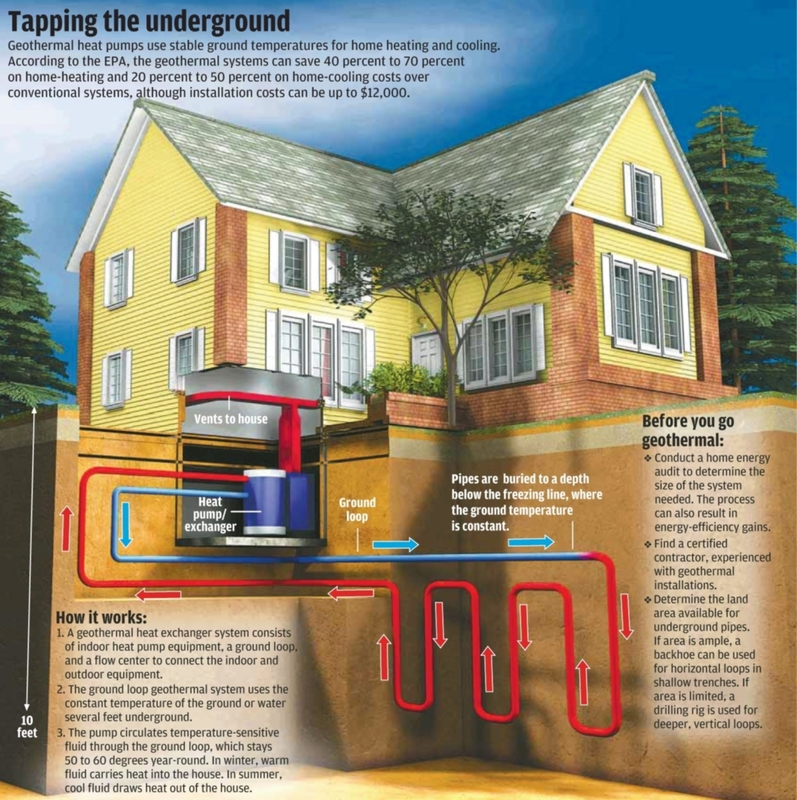 A ground loop in installed underground, eliminating and insightly equipment in your home or land. In the winter, heat is extracted from underneath the soil and transferred to your home. In the summer, the process is reversed and heat is taken from your home and released into the ground below. This infographic does a good job of explaining how geothermal heating and air conditioning systems work. No matter what type of geothermal loop you need, whether it is a vertical, horizontal, pond, or open, we can get the job done so that your new sustainable energy source can last you more than 20 years. The Federal government is offering the Investment Tax Credit—a 30% credit against income taxes due to the IRS. 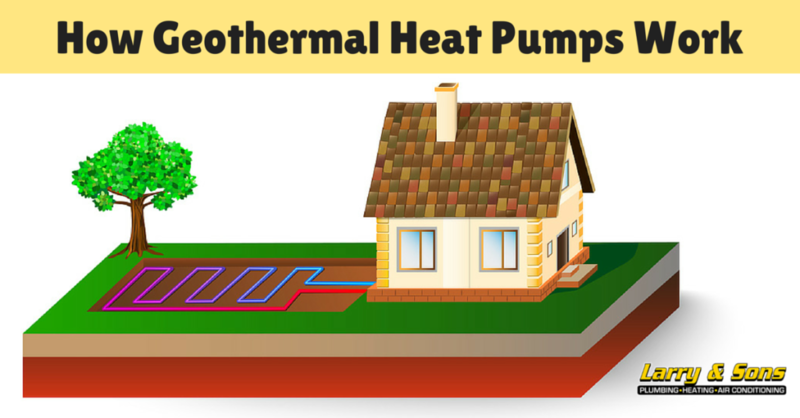 Rebates of up to $3,000 for residential heat pump systems can be applied for through Maryland’s Geothermal Heat Pump Grant Program. Many local jurisdictions offer exemptions and credits on personal property taxes that can offset the cost of installing geothermal heat pump systems. Additional resources for the latest in financial incentives can be found at the Maryland Energy Administration’s Incentives & Resources page and the Database of State Incentives for Renewables and Efficiency. For more tips on saving money and energy, see our Top 10 Tips to Save Money and the Planet. What are you waiting for? Start harnessing the power of the Earth to save you energy dollars. We provide full Hagerstown, MD geothermal installation and replacement services, and we will make sure that the system we install for you is perfectly suited to your budget and needs. Whether you are sure you want to invest in a geothermal installation now or you want to learn more for future reference, give Larry & Sons a call today at (301) 733-5428. Our expert geothermal technicians are standing by to provide you with top quality geothermal services in Hagerstown, Frederick MD, and the surrounding areas.